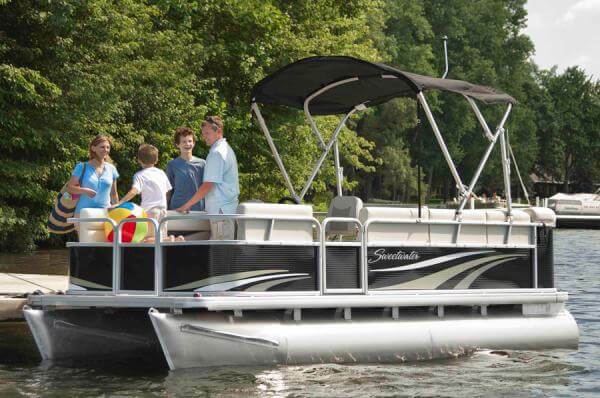 Action Water Sportz is pleased to provide you with Pontoon Boat Rentals. All pontoon boats are equipped with Yamaha 4-stroke outboard engines for quiet, smooth and reliable operation. 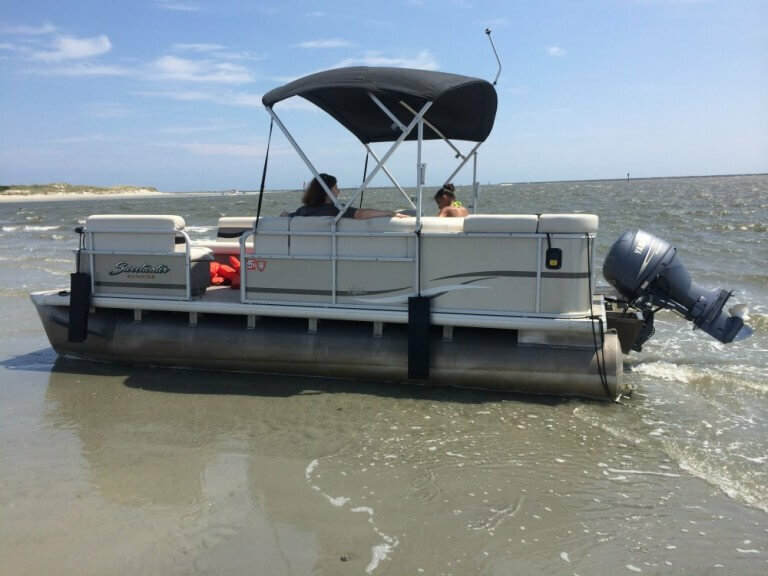 Our pontoon boats are kept clean and in good working order and are equipped with SC state required safety equipment including life vests for passengers of all ages. Our rental boats can accommodate up to 10 persons or 1410 lbs. Coolers and chairs are welcome. Rental boats may not be operated in the ocean. Operation is restricted to the Intracoastal Waterway and adjoining NAVIGABLE waters. Operation of equipment in unmarked, natural creeks and bays is likely to lead in damage to the boat which is the responsibility of the renter. You will need a valid credit card and a photo ID in order to rent a pontoon boat. At least one person aboard the rental boat must be 21 years of age or older. No ocean operation – No night operation – No towing of anything or anyone! Enjoy the day with family and friends on the inter coastal waterway. An easy to follow map to cruise up to Sunset Beach or Ocean Isle Beach on the inter-coastal waterway will be provided. See the interesting and beautiful homes that line the waterways from an entirely new perspective. You can pull right up to the beach at one of our wonderful uninhabited islands, Bird Island or Waities Island for great shelling, picnicking, or just chillin’ out on the islands. You can also bring your fishing gear. SC requires individual fishing licenses for ages 16 year old and up.